Men like Abdullah Hussain born in ages, he has always been an asset to our nation and urdu literature. He not only gave us food for thought but also contributed a lot in Urdu literature. Our generations will be thankful to this man for giving us an insight of a village man and ordinary people’s life through his novels and stories. According to the sources close to the family of Abdullah Hussain, he was suffering from blood cancer for last one year, today he lost the battle and passed away. 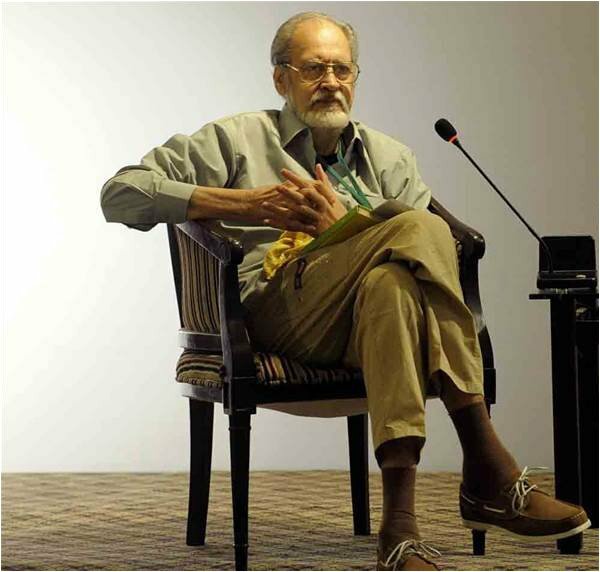 Abdullah Hussain have been nominated for “Kamal-e-Fun” award for 2012. “Kamal-e-Fun” is the highest literary award of Pakistan, given for lifetime achievement in creative and research work that carries cash prize of Rs500,000. He was the author of “ Udas Naslein”, “ Qaid”, “ Nadar log”, “ Baagh”, “ Nashaib”, “ Raat”, while Udas Naslein was also available in English; it got tremendous fame worldwide. At recently held Karachi Literature Fest, he said “Mujhey urdu thek sey nahi aati” which depicted that Abdullah was a simple man who cannot be forgotten by our generations. He wrote his first novel at the age of 25; Udas Naslein became one of the greatest novels of all times. Prime Minister of Pakistan Nawaz Sharif and MQM leader Altaf Hussain condoled on such big loss. He was widely popular and his work got acclaimed all over the world not in Pakistan. He was one of the living legends and whole nations is n grief for his demise. Literary circles showed great grief for the loss of their fellow and a great writer.